Good morning everyone! 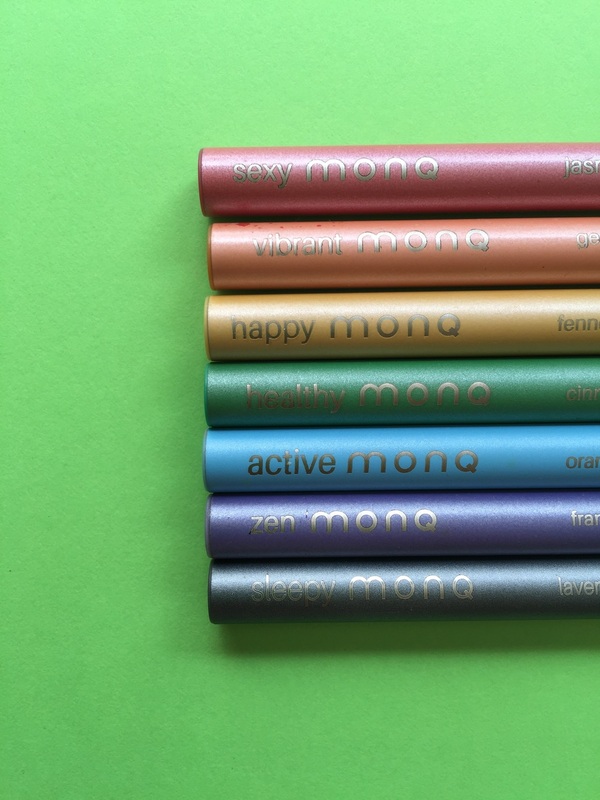 In case you missed it, yesterday I announced the amazing MONQ takeover that's happening on the blog this week! Pick up the pace with natural energizers that make you feel fresh. Known for it's energizing effects, orange is an incredible addition to this essential oil blend, with a flavor reminiscent of the refreshing citrus fruit. According to the MONQ site, there are studies to suggest that the cold pressed orange essential oil is antimicrobial and can lower the body's response to stress. Sage is not only a known cleanser of multiple types of energy, but it also has great effects on the body, aiding in physical mental stimulation. Black pepper helps with a healthy circulatory system, making for a perfect workout accessory! I chose to pair this MONQ with an energizing and satisfying smoothie bowl, perfect to consume either before or after your workout. The pungent flavor of black pepper made me think of the bitter flavor of matcha, which is one of my main favorite pre-workout beverages. Though orange in the recipe could have worked, I definitely wanted to play on the concept of an accenting citrus flavor --- thus, I decided on lime! Matcha is not only loaded with antioxidants to support your body's free-radical fighting abilities, but also an excellent source of caffeine. It has been proven to sustain energy instead of making you feel buzzed just to crash later. Avocado is obviously one of my favorite foods, and we can't deny the filling yet energizing way it leaves you feeling after a meal. Avocados are filled with healthy mono-unsaturated fat which is linked to having a positive effect on the way your heart functions. These superfruits are also filled with magnesium and potassium, two nutrients known to help reduce blood pressure, which can help you recover and feel incredible after a workout! 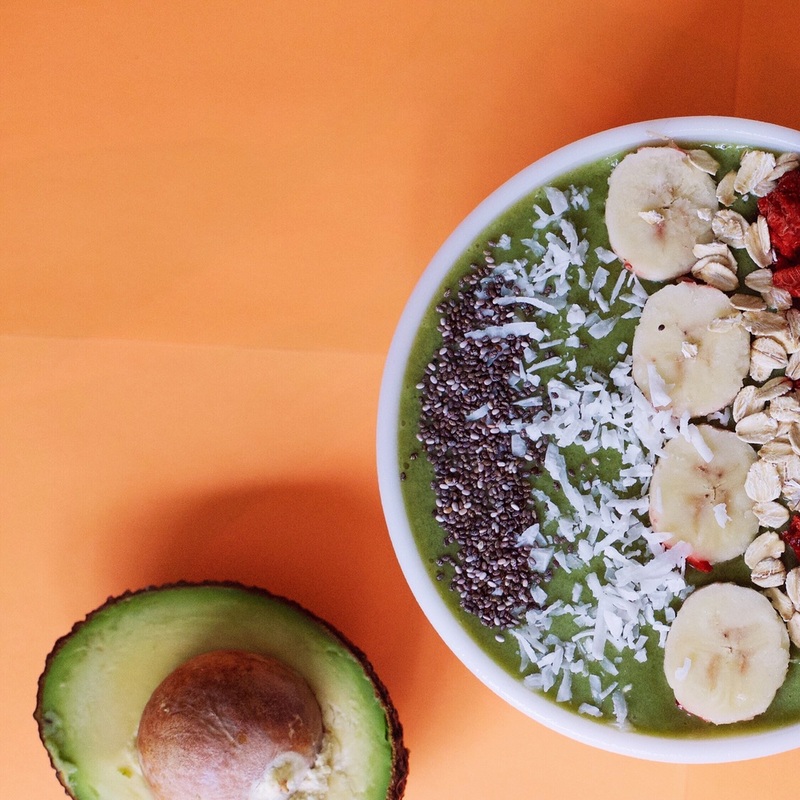 Lime is an incredibly flavorful citrus fruit that can aid in digestion, making this smoothie bowl go down and settle. Sometimes a pre-workout meal can leave you feeling to full, but the tasty juice of this fruit will not only light up your taste buds, but also your digestion! 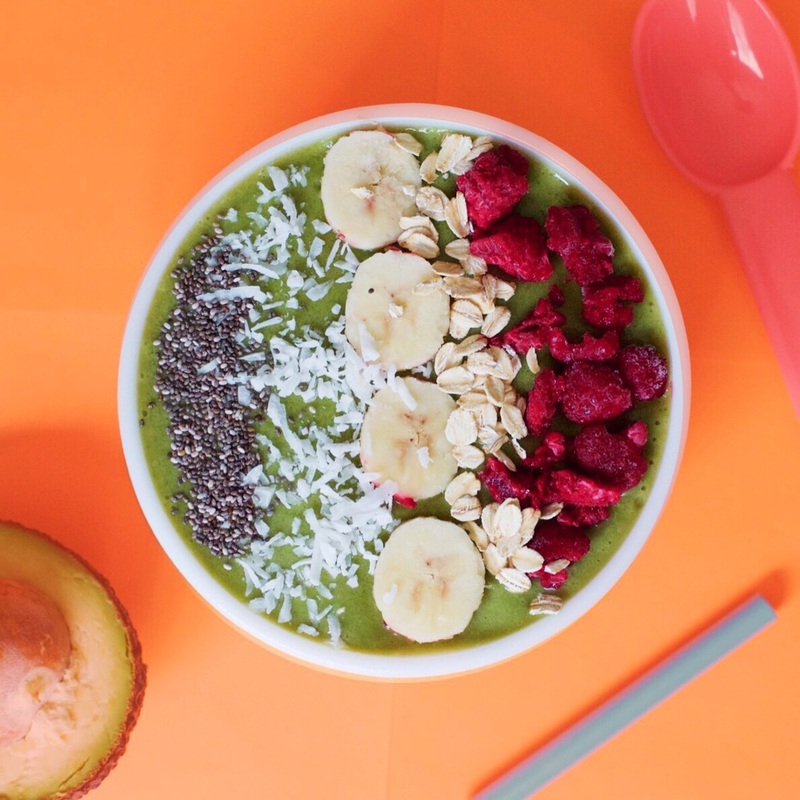 Banana is high in potassium which isn't stored in your body for very long after you consume it, making this smoothie bowl perfect to pack a punch for your powerful workout. In a high-speed blender (personal or pitcher sized) combine all ingredients until your smoothie is thick and creamy! Green and dreamy! Arrange your toppings to a gram-worthy meal, and voila! Give it a try before your next workout!